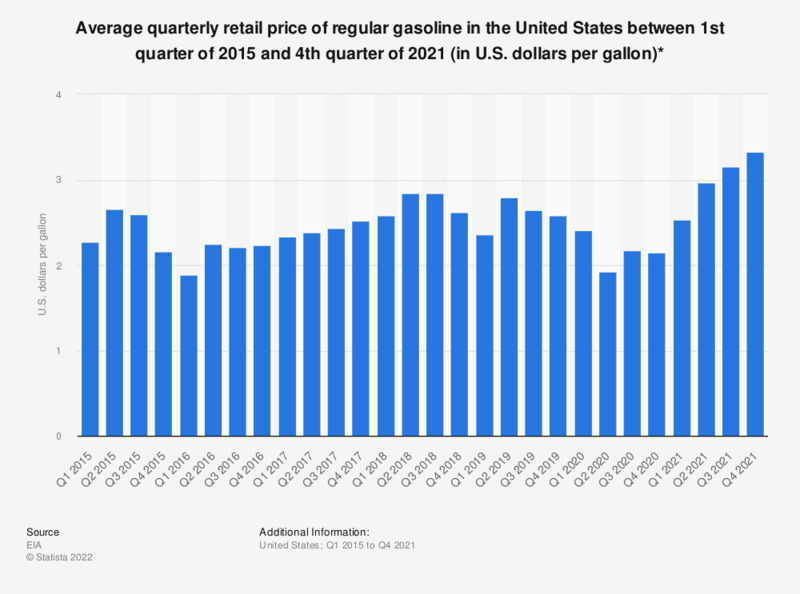 The statistic shows the quarterly retail price of regular gasoline in the United States from the first quarter of 2014 to 2019. Here, the average retail price of regular gasoline stood at 2.36 U.S. dollars per gallon between January and March 2019. * Regular all formulations retail gasoline prices. Averages have been generated from monthly average figures. Everything On "Gasoline-powered vehicles in the United States" in One Document: Edited and Divided into Handy Chapters. Including Detailed References. Statistics on "Gasoline-powered vehicles in the United States"